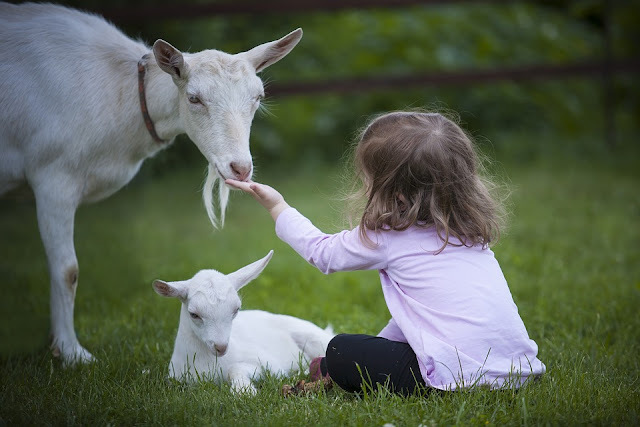 Goat's newborns need colostrum to increase their digestive potential and immune system. If the newborns of goat do not get colostrum at the beginning of their birth, their survival chances are very low. The newborn baby is born without the immune system implemented. Therefore, colostrum helps to increase the antibodies in the body by strengthening the immune system of newborns, Newborn babies of goats should ideally receive 10 to 15% of total body weight of fresh creamy colostrum infants during the first 12 hours of their birth. Colostrum Required For the newborn baby. A newborn baby requires 1 to 2 ounces colostrum for every pound of body weight during 12 hours of birth. For the second 12 hours after birth, the baby should continue giving milk to the mother. Colostrum is the most needed for the newborn baby from the first two to four hours of birth. The higher the amount of colostrum the newborn will get, the more likely the possibility of the newborn to survive. If the newborn is weak for birth due to some reason, then try to bring its body around 100-degree farenhite, then feed it two ounces colostrum. Wait for one hour after feeding, then feed two ounces, continue feeding small quantities of colostrum at regular intervals. If a newborn baby is given a large amount of colostrum at the same time, then the baby may have diarrhea and floppy kidney syndrome.